Digital Projection International (DPI), an Emmy® Award-winning manufacturer of high-performance projection systems, announces the launch of two new high-brightness, lamp-illuminated INSIGHT 4K projectors. The new lamp-based, true 4K (4096 x 2160) resolution projector line consists of two models: the dual-lamp 17,500 lumen INSIGHT 4K 930 and the quad-lamp 25,000 lumen INSIGHT 4K QUAD. These new lamp-illuminated displays bring incredible brightness output to the already impressive INSIGHT product lineup. Ideal for venues contending with plentiful ambient light or needing to produce large-scale, high-quality imagery, the INSIGHT 4K 930 and INSIGHT 4K QUAD begin shipping in September 2015. By combining true 4K (4096 x 2160) resolution with 3-chip DLP imaging performance, INSIGHT 4K lamp-based projectors pair stunning image quality with true large venue application-enabling brightness. Venues with large to massive screens now have projection solutions that will inspire their audience’s attention. Even in venues with high ambient light, where lower-lumen projectors oftentimes fail to produce captivating imagery. 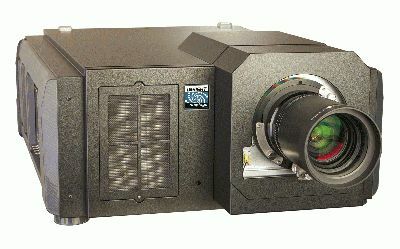 Unconventional projection environments such as outdoor projection and building mapping applications will also realize the image brilliance that up to 25,000 lumens of light output produces. In smaller venues where image quality and detail are critical, the INSIGHT 4K 930 and QUAD deliver clear, accurate imagery with punch. The INSIGHT 4K 930 and QUAD models feature two Displayport 1.2 inputs, each supporting up to 2048 x 2160 @ 60fps (4:4:4). Other inputs include HDMI 1.4b, supporting 4096 x 2160 at up to 30fps (4:4:4) and 60fps (4:2:2). An optional input supporting HD-SDI and DVI connectivity is also available. Fully 3D capable, DPI’s Dual Flash Processing can be used to multiply the INSIGHT’s displayed frame rate for to display 3D sources at on-screen frame rates up to 144Hz. Both new INSIGHT displays also incorporate DPI’s ColorMax advanced color calibration system to ensure projected content is color-accurate as well as impressively bright. Facilities looking for an efficient way to manage multiple INSIGHT 4K 930 and INSIGHT 4K QUAD projectors will have access to DPI’s new Projector Controller software. Designed for use with many of the displays within DPI’s 3-chip DLP product line, as well as select single-chip DP displays, the Projector Controller software allows full management and operation of multiple projectors from a single centralized PC-based application. Ideal for use in large installations, or where projectors are installed in multiple locations within a building, the software can dramatically reduce the time required for set up and configuration. DPI unveiled the new INSIGHT 4K 930 and INSIGHT 4K QUAD projectors in booth #2243 at InfoComm 2015 in Orlando, Florida, June 17 – 19.